Swiftwater RV Park is a top-notch, safe and pet friendly Good Sam campground located directly on the banks of the Salmon River in central Idaho – 2 miles outside of White Bird – and just 1/2 mile from from Hwy 95, yet only 17 miles from the Hells Canyon National Recreation Area. TESTIMONIAL: A recent (May 2017) guest wrote: We enjoyed our stay immensely & definitely plan to return. Everything was so clean & weather was fantastic! Neighboring folks were very quiet & we had a most restful time. RZR riding was some of the best we’ve experienced. Thanks so much — I can’t imagine it being any better. At an elevation of about 1,400 feet with over 300 feet of riverfront facing the Salmon River, this Idaho pet-friendly RV Park is quiet and relaxing for campers in big rigs, toy haulers, 5th wheels, & even vintage trailers or tents. And the starry nights are awesome! SMACK-DAB IN THE MIDDLE OF THE STATE! We are family owned and operated and live onsite to offer terrific customer service and the cleanliness you deserve in an RV park. We are the only Good Sam RV Park in the White Bird area and are proud of this affiliation. Each campsite offers 20/30 or 50 amp service, including water and WiFi, and use of our ultra-clean restrooms & showers. 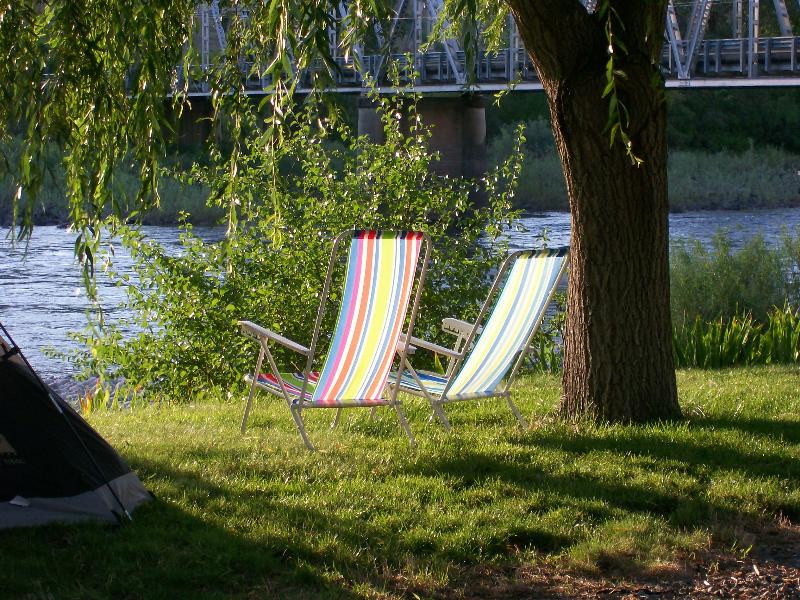 From beautiful back-in sites facing the Salmon River to nice-sized pull-thrus (no need to un-hook your big-rig) – or for those camping in a tent – you’ll discover that Swiftwater is a true gem – whether you are looking to spend the night, a week, or a month. 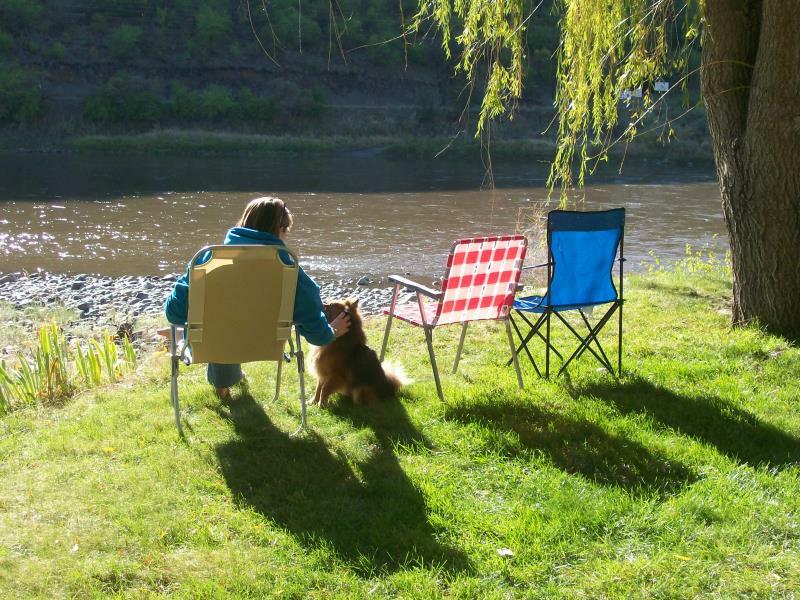 Swiftwater RV Park is quiet and relaxing, with landscaped level sites, and only a step away from the Salmon River. 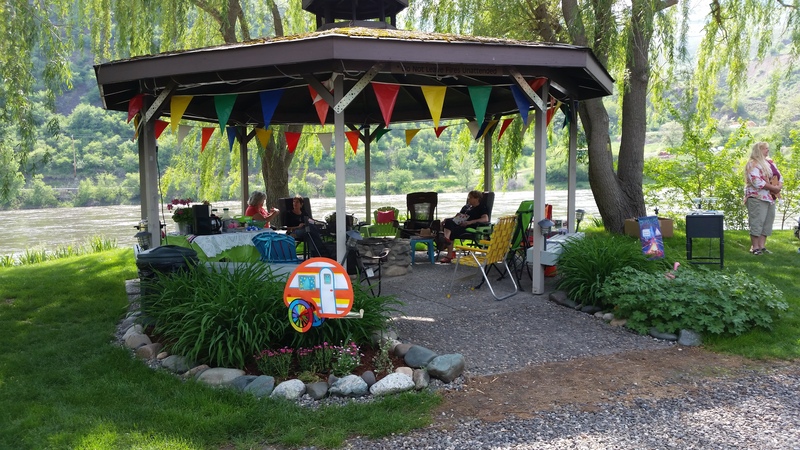 An outdoor gazebo with a stone fire-pit is available for all guests and sits nestled among willow trees in a corner of the park on the Salmon River’s edge. Bring your own lawn chair, or use ours. Plug in a crock pot to the electrical outlet and enjoy your dinner right here! Is there a better way to spend a summer’s afternoon? It’s just a short drive to many outdoor activities, including exploring Hells Canyon – by ATV, hiking or jet boat tour – fishing, hunting, Lewis & Clark, whitewater river rafting, jet boat tours, bird watching, hiking, biking, sightseeing, and much more! 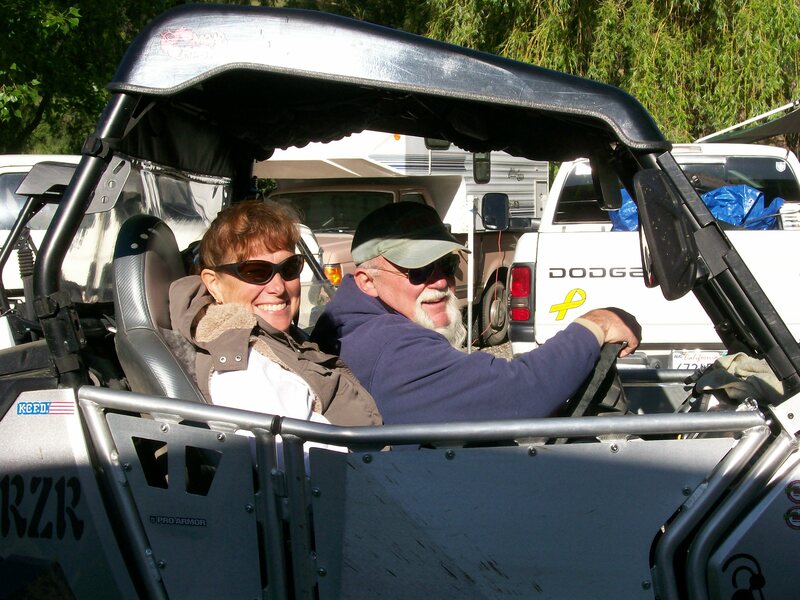 Bring your side-by-side or quad ATV and enjoy over five fabulous trail rides direct from the RV Park. One of our favorite activities is simple: sitting in lawn chairs watching the Salmon River flow by! Heading out for a day’s ride! Besides being pet-friendly, we’re also VERY motorcycle-friendly, ATV-friendly, and cyclist-friendly! We welcome cyclists traveling cross-country and ATV-riders coming to explore the roads and trails on the acres and miles of wilderness right at your fingertips. Since Swiftwater RV Park is the closest campground to Hells Canyon ( only 17 miles away) a very popular ride is into Pittsburg Landing, and beyond. Best yet, you can begin that ride direct from the campground! No need to haul your ATV somewhere….just ride out our driveway and leave your gear, vehicles and belongings safe and secure right here. Safe, offsite parking and storage adjacent to Swiftwater RV Park is available at nominal fees for extra vehicles. ATVs, trailers, boats, Motorhomes for a day, a week or by the month. Just give us a call to learn the details. To inquire about availability for your travel dates, simply fill out our quick form, and we’ll get back to you right away. Enjoy more pics at our Pinterest page!